This afforable, compact bulk pack of 100 rounds in .45 ACP is a great choice to accompany your P220, 1911, Glock 21 or other pistol to the range. 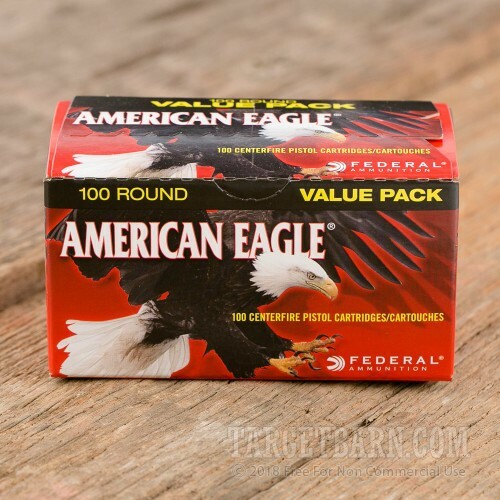 Federal's American Eagle series offers solid target shooting performance at a reasonable price that makes trigger time more affordable for every gun owner! 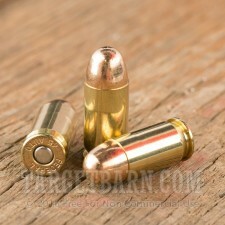 Each round in this box fires a 230 grain full metal jacket bullet at 890 feet per second. This is a standard pressure load suited to both compact and full-size .45 Auto handguns. 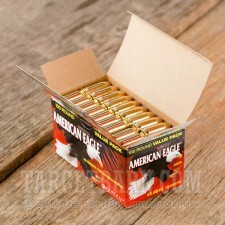 These cartridges are loaded in Anoka, Minnesota and use non-corrosive primers and reloadable brass cases.